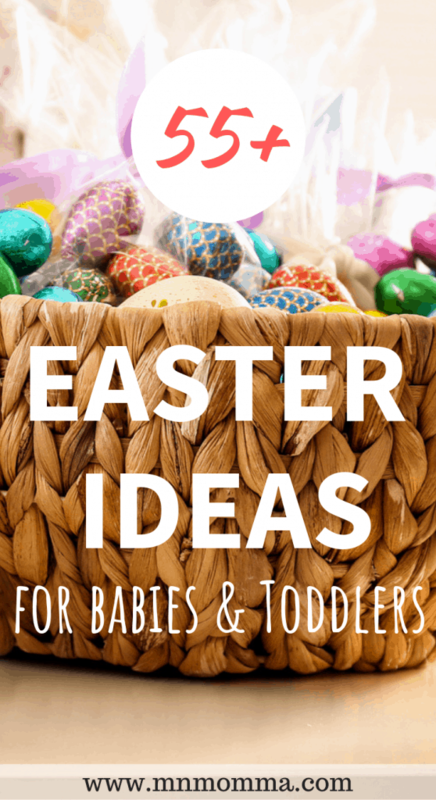 Best Easter Ideas that Aren’t Candy! 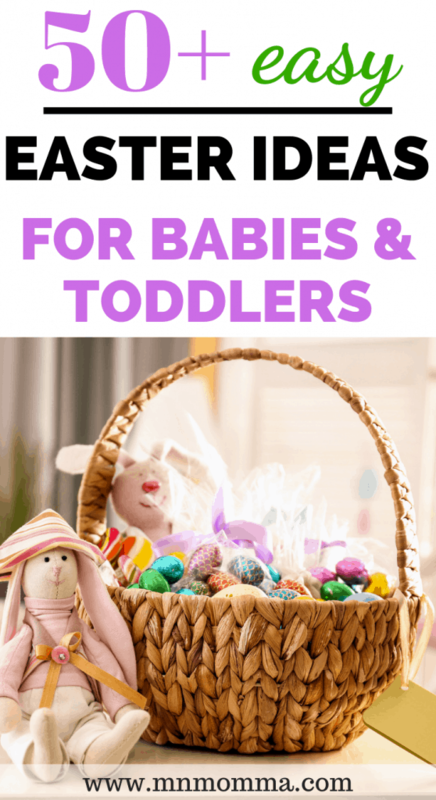 Whether you just had a baby or you’re trying to come up with some cute ideas for your toddler that don’t include chocolate, this ultimate list of Easter ideas for babies and toddlers is perfect for you! You’ll find everything from fun to practical gifts. 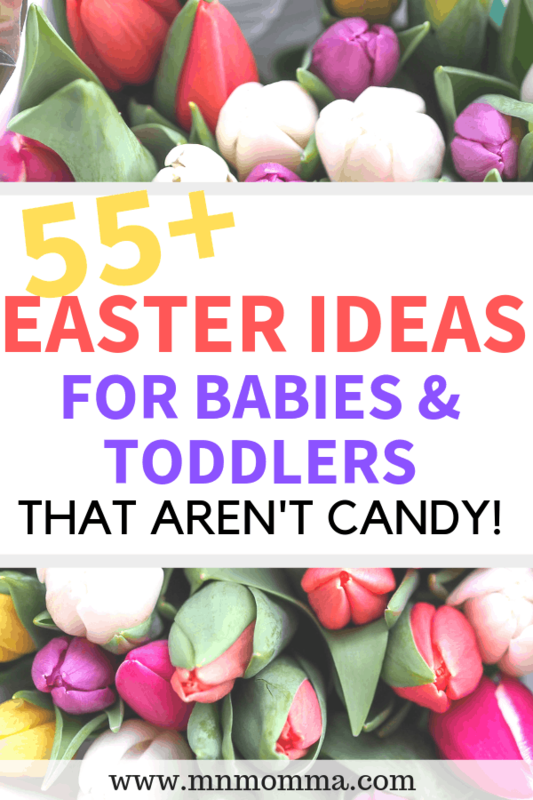 And…most of these Easter ideas are not food – which means they’ll last a lot longer in your house. An Easter outfit is about as cute as it gets. From either a complete Easter dress or suit, to a cute Easter t-shirt. Check out Etsy and Amazon for some unique and customizable options! I’m a momma who loves snuggling a baby in jammies. And new jammies? Oh, they’re so cuddly! 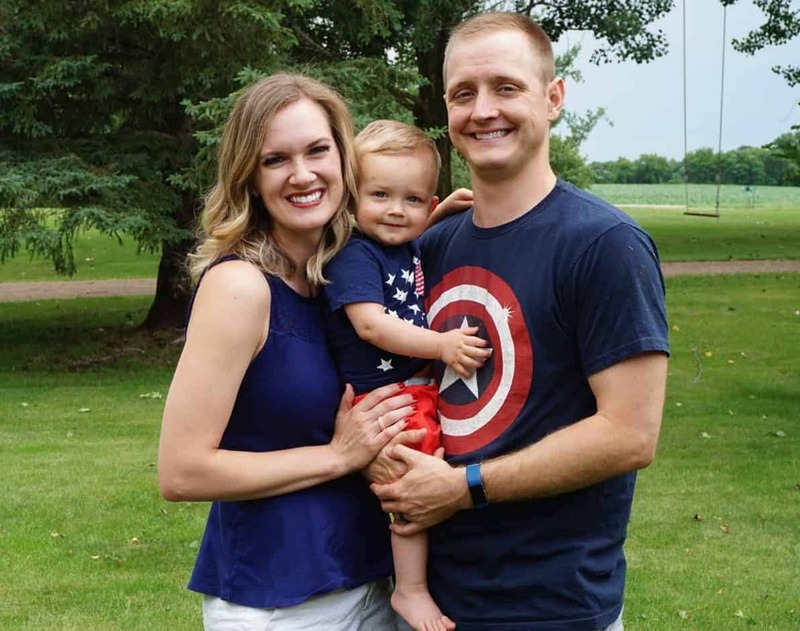 Is your baby a drooler? Pick up some of these adorable bandana bibs while you can! Can a girl ever have to many headbands and bows to accessorize with? From the super popular Sophie Giraffe to my favorite berry pacifiers – your little one is bound to need one (or two!) of these. Did you know a rattle is still likely to be one of the first toys your baby can figure out and play with? 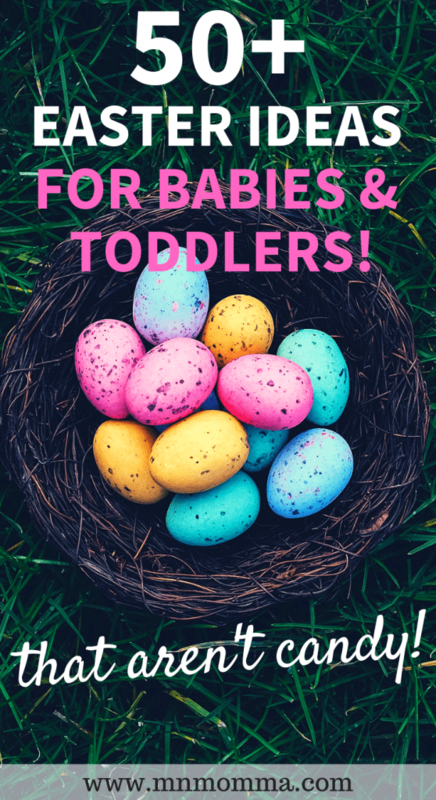 Grab a cute one and stick it in baby’s Easter basket! 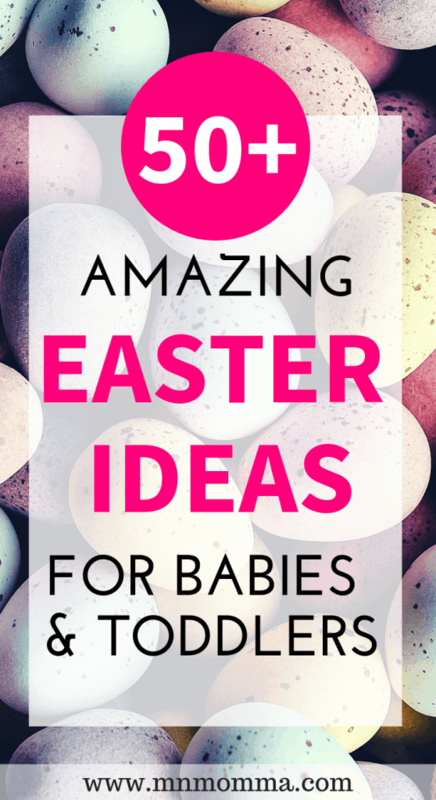 Okay, this Easter idea for baby may be more for you than your baby. But man – does it work wonders! A soft, cozy swaddle all wrapped up is the perfect gift to throw in the back of baby’s Easter basket. Depending on your baby’s age, he or she may be ready for a lovey – find a cute one and add it to the fun! I’ve had my eye on this sweet elephant for a while now. Just watch the video and I dare you to tell me it’s not the cutest thing you’ve ever seen. My toddler LOVES that it plays peek a boo and he can’t stop smiling around it. Can you have too many stuffed animals? Yes. Yes you can. BUT – if your little one hasn’t acquired a big collection yet, one more doesn’t hurt, right? Name brand or generic – these were one of our baby’s favorite treats. Puffs are a great option for babies just starting to eat solids. A fun sippy cup for your toddler can help encourage water drinking, while being stylish at the same time. We opt for the straw ones, like this, to help develop those motor skills! Tired of your baby’s bowl tipping over – these suction cup bowls and plates might just be a lifesaver. It’s Easter and time to celebrate – I love this board book Bible – it even has lift the flaps! They make some super cute Easter books – and when they’re interactive? I love them even more for my little one! Did you know that the more books you have in your house, the more likely your child is to be a better reader? That’s without even reading the books. So bring on the books! Easter is a sign of spring and bubbles are perfect for that! If your baby uses a pacifier, this can be a great time to restock your stash. If you’ve been using a pacifier without a clip – trust me – it’s time to invest. They have some adorable designs! Make riding in the car more fun for your baby with an attachable car seat toy. I’ve learned quickly with young toddlers crayons can break pretty easily. I’ve found the best luck with these triangular shaped ones! These are an all time favorite of ours. We use them for church, in the car, anywhere! They are virtually mess free and help provide lots of entertainment for little ones! If you have a baby – try the banana toothbrush. It doubles as a teether too! We found that as our baby grew to be a toddler however, he much preferred a fun toothbrush like this. While you can choose disposable swim diapers, I found I love the reusable ones with snaps – like this one! 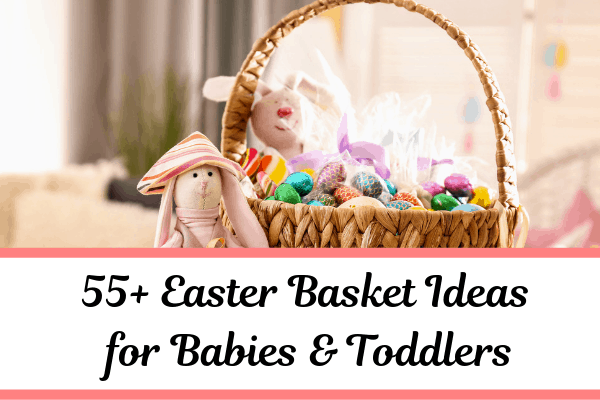 Do you have more ideas for your baby or toddler’s Easter basket? I’d love to see the pictures or hear your ideas in the comments below!